Welcome to Garner - A Great Place To Be! What's It Like In Garner, NC? Garner, North Carolina is a small but growing southern Wake County community that has a rich railroad history. It offers small town charm, but also offers convenience and plenty of things to do thanks to its location at Highway 70 and I-40. More Home For Your Money: Garner homes for sale tend to be more affordable than other parts of the Triangle area, and many offer the popular features and finishes home buyers are looking for. Convenience to Raleigh: For those making frequent trips to Raleigh, Garner is a near-perfect location, as it’s only about 8 miles away and makes for a quick round-trip. Outdoor Activities: Outdoor enthusiasts love calling Garner home as Lake Benson provides some of the best boating and fishing in the area, while the local golf scene is thriving because of the Garner Country Club and Eagle Ridge Golf Club being situated just outside of town. Big Name Shopping & Restaurants: From Target to Cabellas to Cold Stone Creamery, Garner has a variety of stores and restaurants to visit. Well-liked Schools: Many Garner parents praise Garner schools, and appreciate the continued work to improve schools in Garner. Local Theater: Garner’s dedication to the arts is apparent at the Garner Performing Arts Center. The GPAC offers local theater, a free art gallery, and youth theater camps. Where is Garner, North Carolina? Garner is located in Wake County, North Carolina. Its neighbor just to the north is Raleigh. Garner is also convenient to Cary, NC, making Garner a great place to live if you work in Raleigh or Cary. Other nearby communities include: Fuquay Varina, Holly Springs, Willow Springs, and Clayton. Garner is in North Carolina's Piedmont, and residents enjoy easy access to the state's relaxing beaches and awe-inspiring mountains. Garner homes tend to be more affordable than in communities like Apex, Cary, or Wake Forest, giving Garner home buyers more property for the money. Recent stats from 2017 show the estimated median home value in Garner to be just over $177,000, which just above the North Carolina median value of $160,300. Buyers won’t typically find too many million dollar homes for sale in Garner, but of course there’s usually a few on the market at any given time. Instead, most single-family homes in the area price between $100,000 and $300,000, but don’t let the price fool you. Homes in the $200,000 to $300,000 price range offer plenty of space and the kind of curb appeal you’d expect from a much more expensive home. Many Garner, NC homes for sale are built in the area’s many desirable subdivisions. If you’re looking for a part of town that offers a true sense of community, we recommend starting your search with properties in Adams Point, Chadbourne, Dunhaven, Jamestowne, or Turner Farms. For more information about Garner, NC homes for sale, or to schedule a private showing for an active MLS listing, give Brandon Duncan with Duncan Prime Realty a call today at (919) 808.2001! Families with school age children in Garner are served by the Wake County Public School System. They manage 10 public schools in Garner, NC. Online, parents rate Garner schools well, and Garner schools have received recognition for continued improvement. There are also 2 private schools in Garner and a number of public charter schools in neighboring communities. Like other Triangle towns, Garner residents benefit from its proximity to well known colleges and universities including North Carolina State University, which is less than 10 miles away. Wake Tech Community College and Strayer University are also nearby in Raleigh, NC. Garner residents also love their local library, Southeast Regional Library, which is highly rated for its helpful staff and wonderful programs. As mentioned above, Garner is located along Highway 70, between Highway 401 and I-40. This location along major highways makes getting around Garner a breeze. Garner is considered car dependent. However, GoRaleigh operates Route 102 from Garner to Raleigh. There is also a park-and-ride bus service available through GoTriangle. 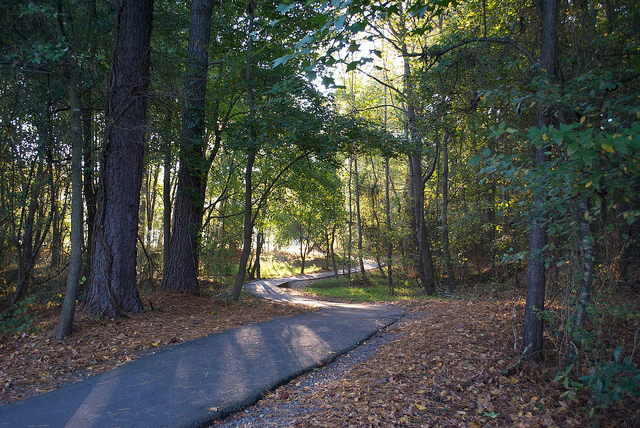 Additionally, parks, neighborhoods, and schools in Garner are connected by an extensive network of trails, greenways, and sidewalk. This allows residents to safely walk or bike around town. Garner is a great choice for anyone who wants to live and work in the same town, or anyone who works in Raleigh, Cary, or RTP, but wants more bang for their housing bucks. The Garner Parks, Recreation, and Cultural Resources Department manages over four miles of paved trails, 12 playgrounds, 12 picnic shelters, 14 athletic fields, a dog park, six tennis courts, programs for all ages, the Garner Performing Arts Center, and a boathouse on Lake Benson. Gather your friends and race against the clock to complete your objective and escape! 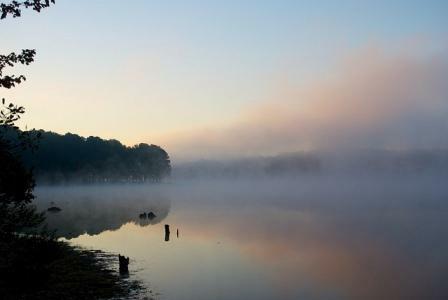 This 64-acre park at Lake Benson offers large open spaces, 1.8 miles of trails, playgrounds, picnic shelters, and seasonal fishing and boating. This park is also where some community events are held such as outdoor movies and the Spring Eggstravaganza. No matter the weather, this indoor, high speed karting facility offers European designed karts that go nearly 40 MPH on a 1/3 mile track. After racing, grab a beer and some bar food at the sports bar overlooking the track. This local favorite for food and drinks specializes in moonshine inspired cocktails. Online reviewers rave about the burgers, ribs, and, of course, moonshine! "PHENOMENAL" "Fantastic" and "Best food in Garner" are what you'll read when you look this place up online. This Mediterranean restaurant is a local favorite serving up great food, excellent service, and live music. Opened by a waitress with her own customer following, Angie’s Restaurant is a great place to get delicious food and great service without paying a fortune. Back in 1847, Garner was chosen as the location for a station on the North Carolina Railroad between Goldsboro and Charlotte, which of course is what initially jump started growth in the area. Since then, Garner, NC has developed into a popular Raleigh suburb for home buyers looking for small-town charm in a picturesque setting. According to population estimates from 2014, Garner has a population of 27,814, but it’s pretty evident that number continues to grow year-in and year-out. Since 2000, Garner’s population has risen over 50% and there’s no sign of this trend slowing down. Home values in Garner, NC aren’t quite as high as other surrounding communities, and the local school system here has a wonderful reputation, making it the ideal place for home buyers looking for room to grow. In fact, according to the 2016 Comprehensive Annual Financial Report, Garner’s top employer was the Wake County Public School System, so it truly is one of those communities that revolves around the local schools and school-related functions.